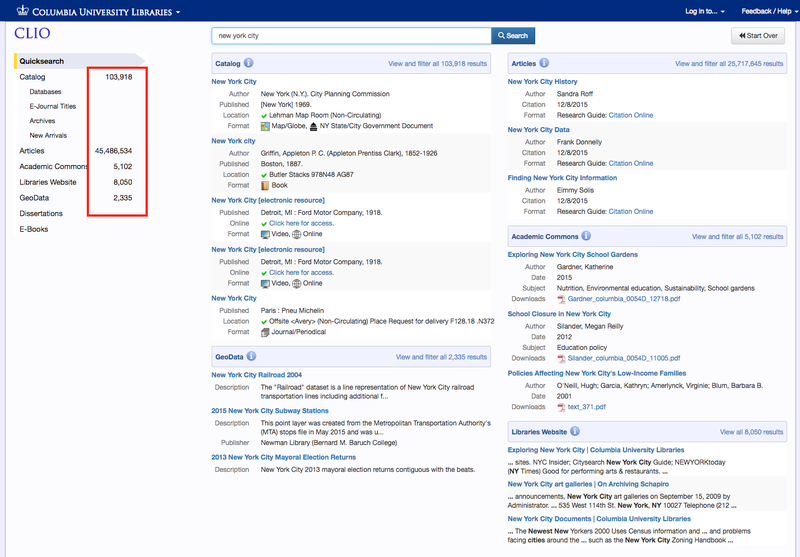 We’re excited to announce that the latest CLIO release incorporates a new top level data source, joining Catalog, Articles, Academic Commons, and Web site search. 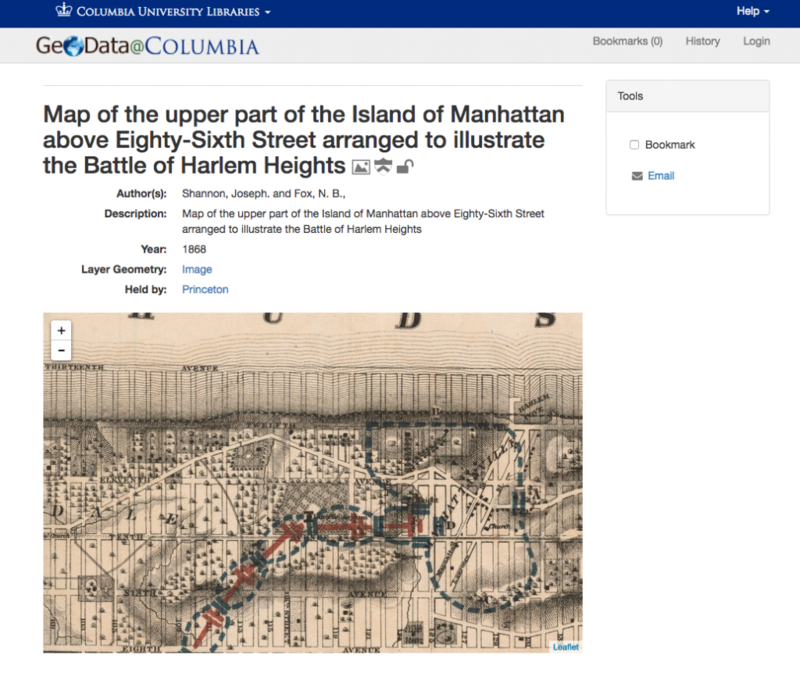 Select GeoData to search the Columbia University Libraries spatial data collection as well as the collections of several other institutions, using geographical constraints. As is the case for some other data sources such as Academic Commons, search and faceted filtering will be provided from within CLIO; once an item is selected manipulation and viewing of specific items will be handled from within GeoBlacklight itself. These counts will displayed after a search is executed right up until a facet has been applied. Our hope is that the display of hit counts will make it easier to see how results are distributed among the different data sources as well as increase awareness of data sources whose display may be ‘below the fold’. 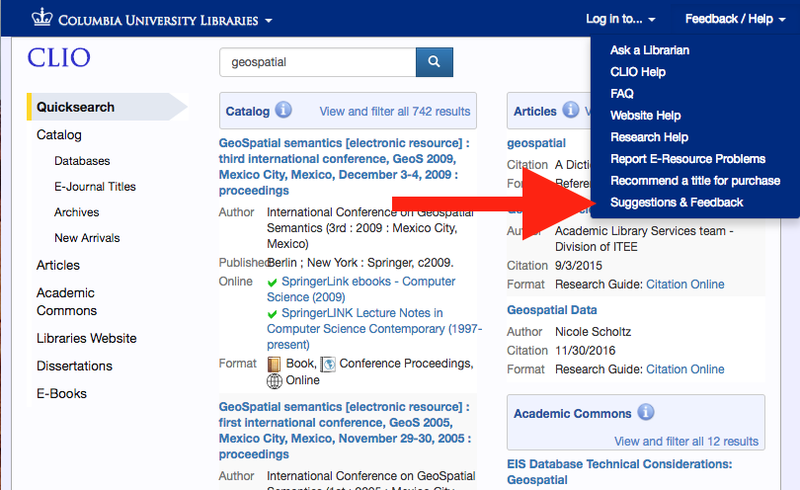 Have a question or comment about CLIO? 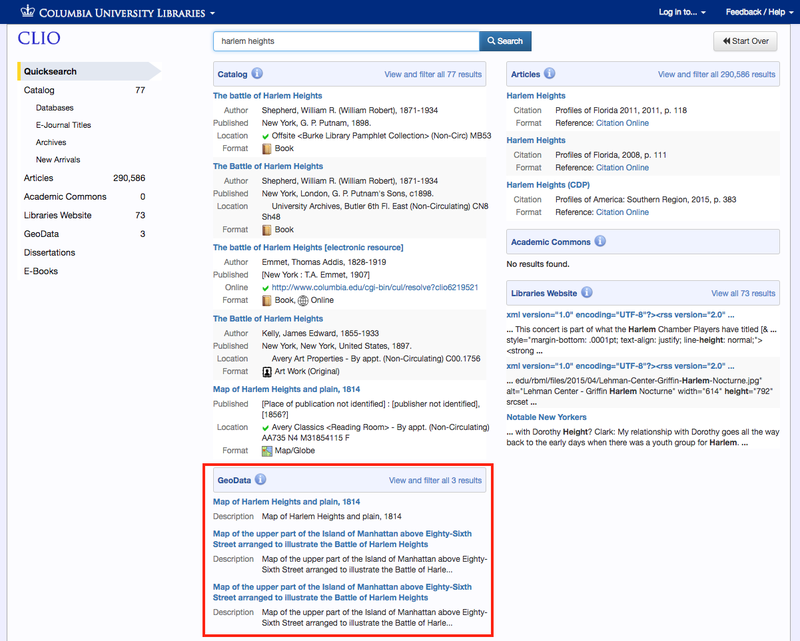 Click on “Feedback / Help” in the upper right corner of any CLIO screen to connect to Ask a Librarian, or to submit CLIO Suggestions & Feedback. This entry was posted in Development, Features, News on January 19, 2017 by Breck Witte.